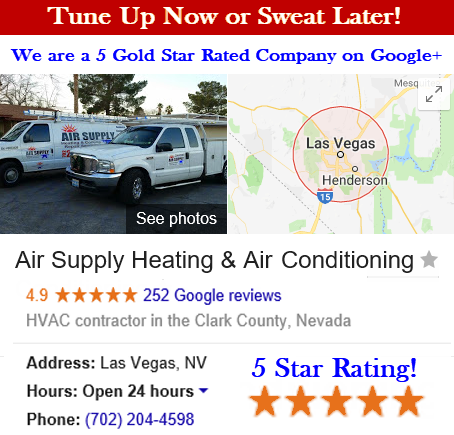 Commercial businesses and residential homes found across the Greater Las Vegas, Nevada area are supplied with full HVAC system services by Air Supply Heating and Air Conditioning, a full service HVAC system contractor that is completely licensed, certified, and insured. 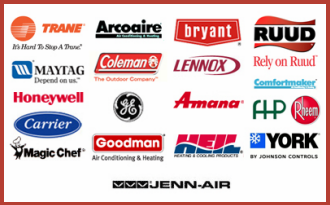 Air Supply Heating and Air Conditioning technicians have extraordinary skills, advanced training, and years of valuable experience to better provide the services we offer. In addition to having the best in the business performing the tasks, we utilize high-end products, tools, and equipment, exclusively available to licensed professionals to ensure premium results to our customers. 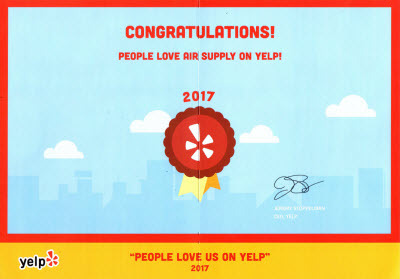 Air Supply Heating and Air Conditioning doesn’t stop at superior execution on all services, but we believe high standards and work ethics and family-friendly customer service separates us from our competitors. When people think of the Las Vegas, Nevada deserts, most think of the scorching long summers, but though we may not experience blizzards like the other states, we still feel the bitter cold in the winter months, and some days can be downright unbearable. Ensuring your staff and customers are comfortable inside your commercial establishment is as equally important as having the product or services you offer. In any case, keeping your heating operating at peak performance is essential for your business. With a minimum of once a year professional maintenance from Air Supply Heating and Air Conditioning, you can significantly reduce the need for repairs and extend the lifespan of your heating system. Just before the cold season begins, consider getting your heating system a maintenance service to ensure efficiency for the upcoming season, even more optimal, get a maintenance service at the end of the season to repair the wear and tear of the earlier abuse it endured to keep your system in mint condition. –	Comprehensive inspection throughout the heating system’s components to ensure everything is working smoothly. Any tightening, lubing, and adjusting are performed where necessary. –	Leaks or signs of potential leaks are repaired. –	Air filters are cleaned or replaced accordingly. –	Pressure value and gauge is evaluated and adjusted if needed to prevent rupturing. –	Burners are checked for efficiency. –	Exhaust pipes are checked. –	Safety features and controls are checked. –	Electrical connections and wiring are checked for fraying and proficiency. During the commercial heating maintenance service Air Supply Heating and Air Conditioning goes through each aspect of the heating system. 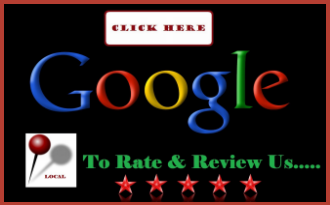 Any deteriorating parts that are recommended for replacement are replaced upon approval. Heating parts that require lubrication are appropriately lubed. Necessary repairs in the event of leaks in the furnace or air ducts are contended with. Following a commercial heating maintenance your heating system will be able to perform at peak performance. If your heating system is due for maintenance in you commercial establishment throughout the Las Vegas, Nevada Valley contact Air Supply Heating and Air Conditioning and take advantage of our thorough commercial heating system maintenance service. Call us today to get started!